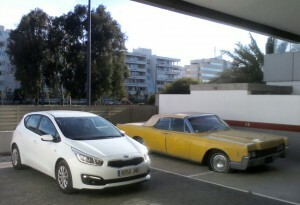 Kia Cee’d – in Ibiza! I once owned a Kia, just before the company’s sudden catapult to credible competitor – a 2009 Rio 1.5 CRDi that I bought damaged. Repairs carried out, it was missing a rear wiper and aerial that I suspect had been pilfered either at the salvage yard or dealership – it had been an abused courtesy car. The point being that my local car spares shop supplied me with an aftermarket aerial and wiper for less than ten squids. 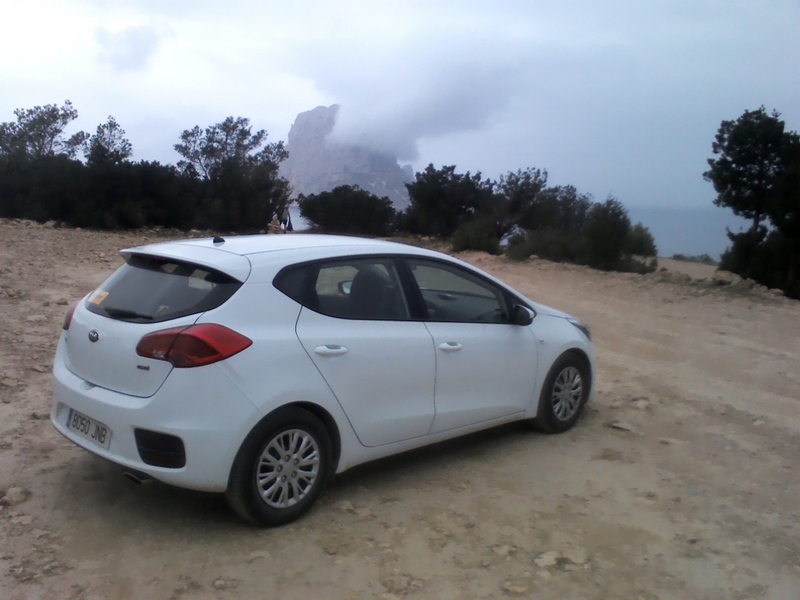 Doubt I could do that now as parts are increasingly bespoke with our brand new rental car coincidentally absent of aerial resulting in irritating interference except at the tops of hill routes in northern Ibiza. Of course, this being left-hand drive does create differences when testing; almost as if my derriere had been desensitised as I didn’t feel as much had I sat on the right side. Gearing is slick and fluid; block-changing to sixth gear can be exercised in synch with the punchy 1.4 CRDi that has potentially 240Nm of peak torque accelerating up inclines even with three adults on board. Official combined figures of 67.3 mpg (4.2 l/100km) contrasted with our combined 43mpg (6.6l/100km) or 204 km on 13.25 litres of diesel over a quarter of the Cee’d’s tank (note those apostophes!). 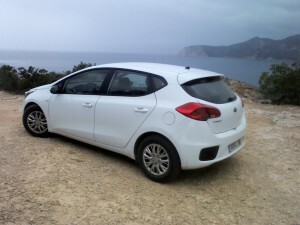 Back by our apartment, with an accompanying parking bay challenge to test even the most experienced driver with unprotected column supports and tight blind turns, the Cee’d remained unscathed with aid i.e. brothers elder and younger waving directions such are the multitude of blind spots around from Cee’d C-pillar to side and front. Heavens forbid that the driver could see its wing or bonnet to judge clearances as even with seat raised, bonnet slid away from view – such are the accepted normalities of design with most new medium-sized cars. It’s almost as if manufacturers have colluded with NCAP to add to coffers in terms of accident repair and parts suppliers. To provide an anachronism, an abandoned 1966 Lincoln last taxed in Penzance contrasted to amplify 8000cc American excess with svelte European form – the designer, now President is after all. Comparing Kia of now to before its watershed moment isn’t watching an evolution but more of a revolution as there is no comparison. 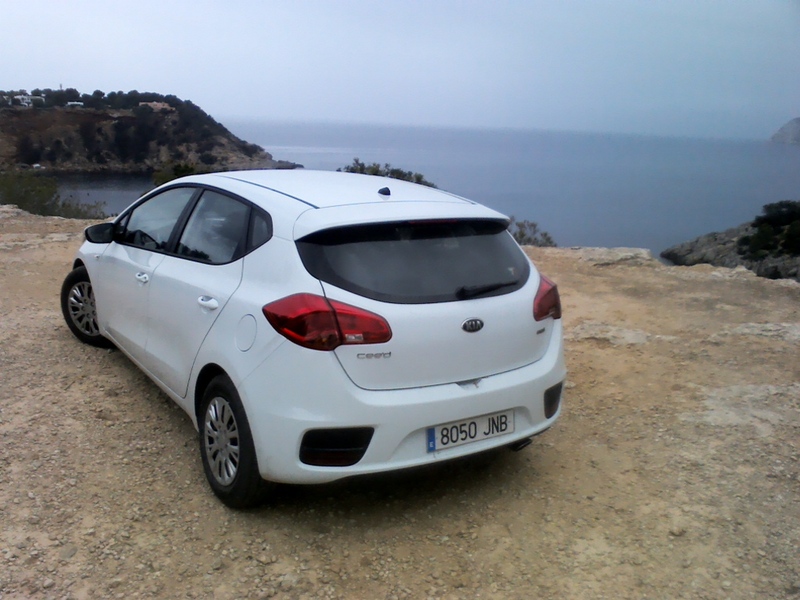 Furthermore, a recent back-to-back test of ProCee’d GT and Ford Focus ST2 concluded with my preferred drive of the Kia mainly because of a more comfortable ride. Our Kia’s interior is dark yet hard-wearing although the loading area is uneven with seats folded flat. With no aerial, we defaulted to Bluetooth that worked quickly after synching codes so that we could listen to a selection of desert island discs around the highest point of Ibiza, passing out into a deep slumber by a coastal road, intoxicated by mountain air. 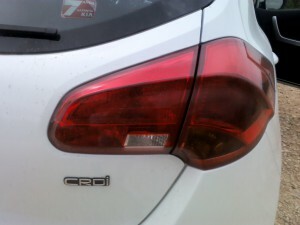 The competitive C-segment is a challenging one and the C’eed captures its reason for being with a combination of competitive pricing, warranty, strong durability with economy being its main positives. I did discover that aerial hidden at the side of the door pocket when I returned the Cee’d; it was the typical screw on type that looked similar to the replacement bought for my Rio but I’m sure that it will morph into a stubby fin to fit within Mr. Schreyer’s design portfolio.